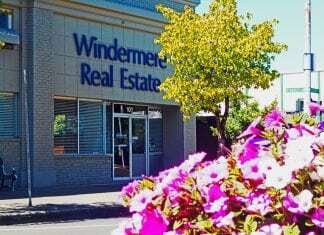 Seasons change and sometimes so do our favorite businesses. As much as we love continuity—getting our morning caffeine from a barista who knows exactly how much foam, flavor, and cream—businesses expand, move, and change hands. Thankfully for Aberdeen residents, the hand-off between South Bay Coffee Company and Tinderbox Coffee Roasters means quality coffee without missing a beat. 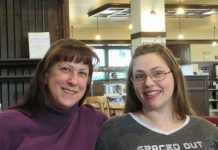 South Bay Coffee Company and owner Stephanie Childers kept us warm and toasty for many years. But as she focused on her bustling Olympia coffee stand, it seemed like a good time to hand over the Aberdeen location. This is where Aubrey and Chad Baier of Tinderbox Coffee Roasters come in. On Tuesday, December 11 they’ll take over the stand from Childers, whose last day is Monday, December 10. “I want to thank the community for welcoming us into their lives,” says Childers, “to share our product and spend time.” She’s excited that the transition will happen smoothly and to another family invested in making their community better, one cup at a time. Customers who frequent their 113 East Wishkah Street coffeehouse have been asking for a drive through location and though they weren’t officially in the market for one, this opportunity for expansion came at the perfect time. “At Tinderbox, we use different products and some will change at the stand,” admits Baier, “but for the most part the menu will stay the same. It’ll be a meshing of the two.” The same can be said of staffing. Aubrey and Chad feared putting people out of work, especially around the holidays, but “we really loved them all” so South Bay baristas were gladly kept on. In the coffee industry for more than 20 years, the Baiers roast their small-batch coffee in-house, and offer locally baked goods, treats, teas, and cold drinks galore. 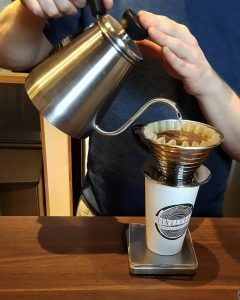 Want to try their beans while out and about for the holidays? Consider ordering one of their 12- or 16-ounce bags to take on the road or use as a fragrant stocking stuffer for yourself or your loved ones. While we all know that shopping locally benefits your friends and neighbors, it does so much more than that. Businesses like Tinderbox host community events, purchase regional ingredients, and support activities and teams. 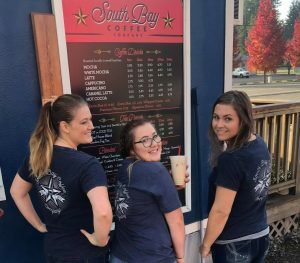 Olympia folks, come by South Bay Coffee at 3427 South Bay Road NE seven days a week or follow South Bay Coffee on Facebook and Instagram. Aberdeen families are invited to come by the stand at 1019 East Wishkah and do your part to keep the community strong, engaged, and caffeinated. 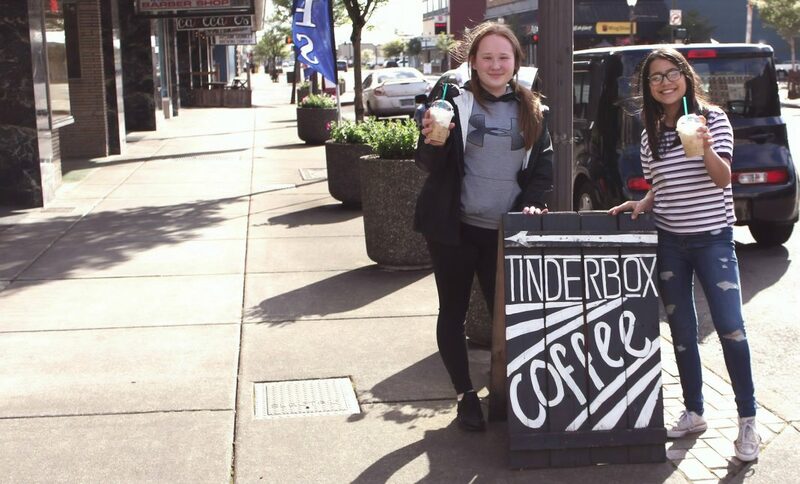 Contact the Baiers through their shop by calling 360-612-0555 and follow Tinderbox Coffee Roasters on Facebook for their calendar of events, activities, and specials.